It’s been a little over a year since startup brewery Stewbum & Stonewall burst onto the scene in Hawaii with a massively successful Kickstarter campaign. They raised a ton of money (for Kickstarter standards) and since then they’ve been relatively quiet. Brewery co-founder, Darren Garvey, spent months looking for a location in the greater Honolulu area but kept coming up short. The perfect location kept alluding him and his search, so Garvey decided to look towards Honolulu’s outskirts for a space that would allow him to get the brewery running and selling beer. Garvey found a small industrial building in Kaneohe a few months ago and is now close to brewing his first batch. Although not his ideal location, Garvey is happy to have found a home (even if it’s only temporary) and has hopes of selling his first keg this Spring. The Kaneohe location will serve strictly as a production brewery. The goal is still to find a location in Honolulu to open a full brewpub and serve Stewbum & Stonewall beers directly to customers. Until then, Garvey plans on distributing kegs to bars and restaurants around the island to build the brand. The current brewery falls into the nano category. Since the current location is temporary, they decided not to install a full 7 barrel brew system and have to deal with moving it later. Instead they have opted to brew on two 15 gallon Sabco Brew Magic systems. The two systems will be run simultaneously, brewing double batches to produce a total of 2 barrels for each brew day. Likely the same as many of the other brewers out there… with a $199 starter kit of plastic buckets, hoses, carboys, a big boil pot, bottles, and a bottle capper. All that paired with an uncanny love for tasty brews and a creative mind and the rest is history. It’s nearly impossible to NOT want to go professional as you sit there smelling your first batch of goodness under way. So the dream has been there for about 7 years now. Of course, turning dreams into reality takes years and years of learning, dedication, and planning. What is the story behind Stewbum & Stonewall Brewing Company? The number one question we get about the brewery is about the name. This brewery is named after the nicknames of each of the founders’ fathers. Joseph T. Garvey (Stewbum) and Thomas R. Jackson (Stonewall) met in the 1960’s while dating two girls that were sisters. Becoming instant best friends, they were blue-collar, hardworking guys who loved cracking jokes, muscle cars, great music, one-liners, telling stories, football, and of course, ice cold beer. A beyond legendary status to all who knew them and all who loved them…this brewery is a tribute to their friendship and way of life. Most of our flagship beers are named after infamous stories and anecdotes from their lives. Beers such as Swear Jar IPA, and The Days of Our Wives – Bitter Ale have stories attached that people can connect with, or at the very least, laugh at and enjoy. We want to steer clear of generic beer names and ideas and instead, tell a story. Thankfully the lives and legacy of Stewbum & Stonewall have given us plenty of material to work with. What is your vision for Stewbum & Stonewall Brewing Company? We envision being a small neighborhood brewpub with a 7BBL brew system. We will also feature any and all locally brewed beers alongside our own in the brewpub aiming to be a central hub of local craft beer and local craft beer enthusiasts. Although we’re still seeking our ideal space to house a brewery AND a bar/tasting room, we have secured a production only facility (no beer will be served onsite) in Kaneohe. Our license is currently waiting to be approved by the Honolulu Liquor Commission, and will be issued on February 5th, 2015. Most of our equipment is already onsite and ready to go with the rest arriving in early January. How are you financing the business? In late 2013, we ran a highly successful Kickstarter.com campaign that raised nearly $52,000, becoming the second most-funded brewery ever to be on Kickstarter.com. That funding gave us a huge push in the right direction. Beyond that we are self-funded and will likely get an SBA loan to cover the build out of the brewpub space whenever we secure one. What type of beers do you want to make for Stewbum & Stonewall Brewing Company? We will be brewing all types of beer from light and easy drinking to complex and intense. We intend to start with 6-8 flagship beers including a Pale Ale, IPA, Amber Lager, Extra Special Bitter, Belgian Wit, and a Smoked Imperial Stout. Seasonal and experimental beers will also be in constant rotation. Indeed we are…our friends have been eagerly enjoying the batches and giving us feedback and ideas. Yes, Darren will be the head brewer, at least for now. If running the business side of things and brewing becomes too much, we will seek additional brewers. Darren has completed the Siebel Institute of Brewing’s Concise Course on Brewing Technology through their World Beer Academy. How can people help support Stewbum & Stonewall Brewing Company right now? Beyond supporting other truly local breweries and those that are in the works, they can follow us at: Facebook.com/StewbumStonewall , or on Instagram: @StewbumStonewall. We will also launching a merchandise store which will be available on our website at www.stewbumandstonewall.com by late January. When do you ideally see Stewbum & Stonewall Brewing Company opening? 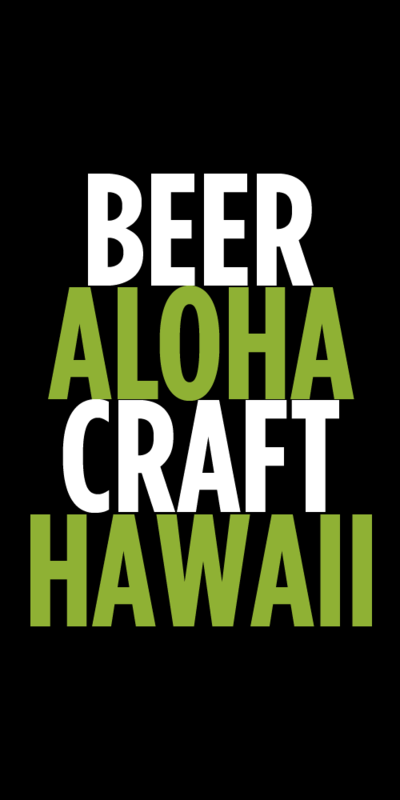 If all goes as expected with the Honolulu Liquor Commission, we will begin brewing operation on February 6th, 2015. We’re hoping to be on tap at a handful of local bars and restaurants by Mid-March. Tags: Brewery in Planning, Hawaiian Beer, New Brewery, Stewbum & Stonewall. Bookmark the permalink. It sounds like you guys might be puting out some creative brews. I’m a PA guy myself. I miss sipping on some Iron City or some Yuengling! 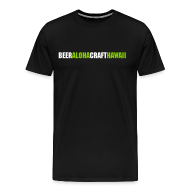 I’m helping open a new craft beer bar in Pearl City and would put any cool creations coming from your brewery in my coolers once you are set to ship. Good luck!